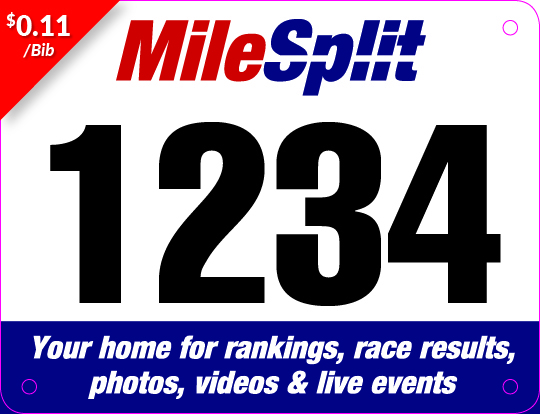 MileSplit is excited to provide meet directors high-quality bibs at an affordable price. Look no further as these bibs cost just $0.11/piece. The bibs can be ordered with or without tear stubs and are printed by the leading bib provider, Electric City Printing. Questions? Check out our ordering instructions or contact Electric City Printing at 864-276-5853. Please note, the average lead time to ship orders is 7-10 business days from once the order is placed but may be subject to change in high traffic seasons.